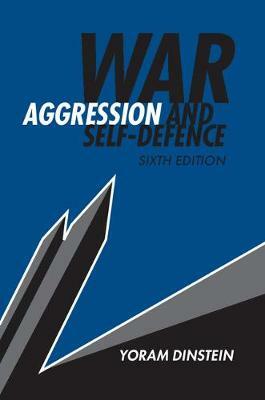 War, Aggression and Self-Defence is an indispensable guide to international legal issues of war and peace, the crime of aggression, self-defence and its trigger, armed attack, and the different modalities of self-defence, as well as enforcement measures taken under the aegis of a binding decision of the Security Council. This new and fully updated 6th edition focuses on the key issues at the forefront of the contemporary international legal debate, as well as analysing the new armed conflicts in Syria, Ukraine and Georgia, re-examining the Kampala amendments on the crime of aggression and considering the phenomenon of 'robust' mandates of a peacekeeping force. Suitable for graduate and advanced undergraduate students, this market-leading book offers a wide-ranging and highly readable introduction to the legal issues surrounding war and self-defence.